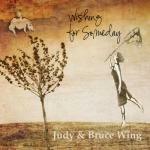 Sign up for Broadjam today to follow Judy & Bruce Wing, and be notified when they upload new stuff or update their news! This album has 10 tracks of original songs, nominated Female Songwriter of the Year 2007 by the Vancouver Island Independent Music Awards. 12 track CD that includes 10 original songs, a traditional song The Water is Wide, and a cover of John Prine's Angels from Montgomery. 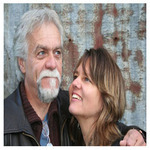 Multi-genre album with flavours of jazz, country, blues and rock. Two songs from the album were nominated "Song of the Year" in the 2014 Vancouver Island Independent Music Awards in the categories of "Roots" and "Pop/Rock". 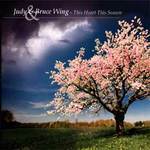 Vintage swing jazz feel with instrumentation that includes jazz guitar, violin, and bass with a female vocal. A toe tapping, feel good song with lyrics that are light, not intended to evoke deep questions about life. Wallowing in self pity while you wait for someone else to change their ways doesn't work very well. Inviting your musical friends over to play some tunes is another! Affectionately referred to as "string therapy", one such day inspired this vintage sounding song to bide the time in some other way. "When I'm older I'll be able to do whatever I want." Young girls often wish they could grow up faster, only to find that the reality of life and relationships doesn't meet their expectations. Things get complicated and then women wish that they could age more slowly. Each new generation seems to continue this pattern, despite the lessons learned by their mothers. Chorus: More Candles on the Cake, more candles on the cake, more candles on the cake and it'll be alright.